Engraved Wood Desk Clock Carriage Gold Handle with Gold Engraving Plate. Unique Retirement Gift Wedding Anniversary Employee Service Award. 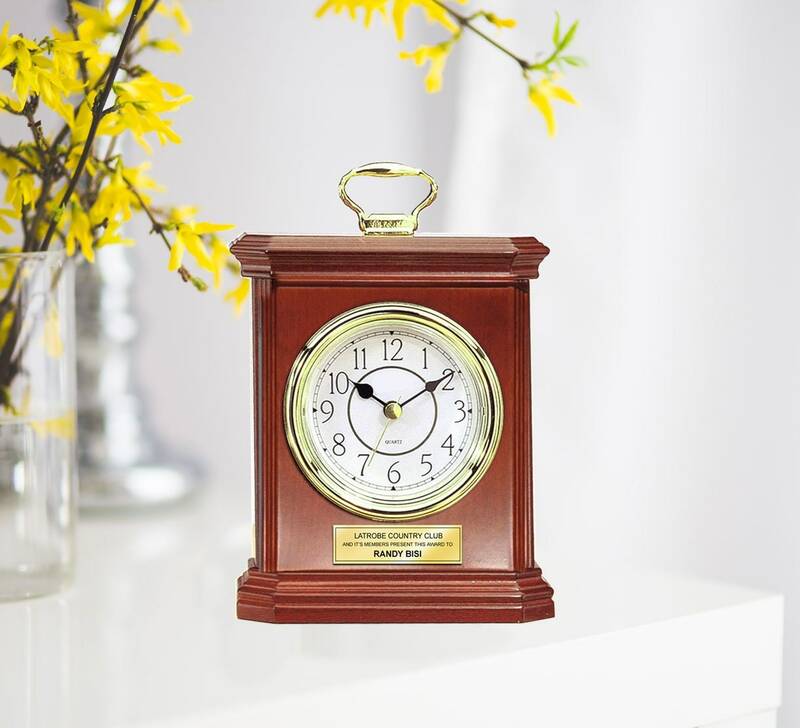 This beautiful engrave wood desk clock makes a unique retirement, employee recognition, wedding, anniversary or graduation gift present. Personalized clocks are unique corporate clock awards, service awards and employee recognition awards.